Tom’s outstanding baseball career was highlighted by Major League baseball appearances as a pitcher with the Toronto Blue Jays. He was the winning pitcher in his first outing with the Jays, his only decision in the Big Leagues. 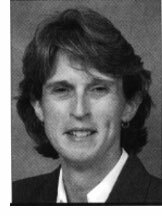 Gilles was an outstanding athlete at Bergan High School (merged with Peoria AOL/Spalding to become Peoria Notre Dame in 1988). He was selected to All-Conference basketball and baseball teams. He was named All-State in both sports in 1980, his senior year. Tom was a star on the 1980 Bergan Basketball Team (GPSHOF class of 2010) that placed 2nd in the IHSA Class A State Tournament. Arguably, the most memorable moment in Bergan’s basketball history occurred during the tournament when his steal and resulting “buzzer beating” layup gave the Trojans a thrilling 56-55 win over Sterling Newman in the Moline Super-Sectional propelling Bergan to the quarterfinals. Tom was selected to the All-Tournament 1st Team. After Bergan, Gilles continued his baseball career at Indiana State University in Terre Haute, Indiana, playing for the Sycamores from 1981-85. As a freshman and sophomore, he both played as a position player and relief pitcher. His 3.22 earned run average in 1981 was the lowest among all pitchers. Tom was strictly a position player in his final two years, playing as a regular on ISU teams that won the Missouri Valley Conference Tournament championships in each season. In the summer of 1983, he was selected as a Central Illinois Collegiate League All-Star. Soon after his college career, he attempted to land a spot on the USA Baseball Team’s 30-man roster that would compete in the 1984 Olympic Games. After making the preliminary roster against nationwide competition, he narrowly missed being named to the final roster. 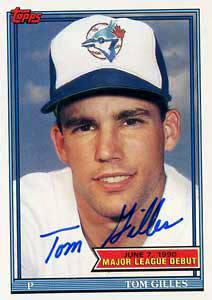 Tom signed his first professional contract with the New York Yankees as a 47th round pick in the 1984 draft. He played first and third base his first two seasons in the Yankees organization. He was converted to pitching in 1987 and hurled as a relief pitcher the next five seasons at Appleton, Kenosha, Orlando, and Knoxville, in the Yankees, Royals, Twins, and Blue Jays organizations. He compiled a record of 22-16. After his playing days, he shared his professional experience by coaching high school and college players.